I generally keep an eye on the Lab’s corporate website, but confess that things have been such that over the last month, other things have been keeping me occupied so I’ve been a little lax in my checks; however, the Lab have refreshed the Leadership section of the company’s About Page. I’m not sure precisely when this happened, but it appears to have been some time towards the end of August 2014, or early September. The updated Leadership section of the page sees an expanded management team list complete with photos for all of those on it, rather than the mix of photos and the “creation” images previously found against individual bios. 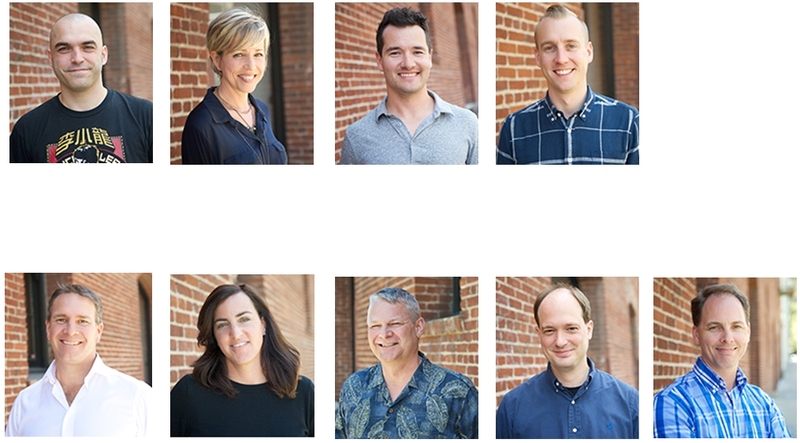 New to the page (but not necessarily to the Lab) are photos and bios for Rob Anderberg, Senior Director of Development, Pam Beyazit, Senior Director of HR, Scott Reismanis, Director of Digital, and Peter Gray, Director, Global Communications. They all join the familiar line-up of Ebbe Altberg, Kelly Conway, Don Laabs, Landon McDowell and Jeff Petersen. Gone from the management list is John Laurence, VP of Product, although his LinkedIn bio still records him as working at the Lab (and he was still listed as a member of the management team in August 2014). if he has in fact recently left the Lab, he succeeds Lee Senderov, formerly the Lab’s VP of Marketing, as the most recent departure from the Lab’s management team; Ms Sederov having moved on from the Lab around April 2014 to join Shopular as the Head of Marketing there. The list of board members remains unchanged since Will Wright’s departure towards the start of 2014. These updates both reflect changes to the Lab’s management structure and a gradual re-tuning of the corporate website itself, which also saw the removal of the Beta Sign-up option from the menu bar at the top of each page some time around the end of August, and which had previously seen the tag-line “Makers of Shared Creative Spaces” replaced by “Build Worlds With Us” some time in July or August 2014. A final potential point of interest on the corporate site lies in the Careers Page, which has a list of ongoing career opportunities most likely linked to the Lab’s planned staff expansion to help in the development of their next generation platform. The point of interest is that two of the current positions – for a Senor Software Engineer and a Senior Software Engineer, Avatar – are referred to as being located in Cambridge, Massachusetts, rather than at the Lab’s Boston office, as one might expect. Does this signify that some of the work on the new platform is being carried out somewhat separately from the Lab’s core activities on the East Coast? Time may tell. 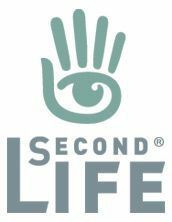 In May of 2014, Landon Linden, aka Landon McDowell, the Lab’s VP of Operations and Platform Engineering, wrote a blog post on the reasons why a series of issues combined to make Second Life especially uncomfortable for many. At the time, and as many bloggers and commentators – myself included – noted, the post came as a refreshing breath of fresh air after so long without meat-and-veg communications from the Lab in terms of what is going on with the platform and why things can go wrong. Now Landon is back explaining how the Lab’s Ops team responds to issues within their services, the communications tools they use – and why the tools are so effective. An Inside Look at How The Ops Team Collaborates is once again an interesting and informative piece, delving into not only the technical aspects of how the Lab respond to problems within their services, but which also encompasses the very human aspects of the dealing with issues – handling emotions when tensions are high, opening the window for those not directly involved in matter to keep an eye on what is happening so that they can also make better informed decisions on their own actions, and more. The core of the Lab’s approach to incident communications is the use of text chat (specifically IRC) rather than any reliance on crash team meetings, the telephone and so on. Those who deal with the Lab on a technical level won’t be surprised at the use of IRC – it is a fairly strong channel of communication for the Lab in a number of areas; but what makes this post particularly interesting is the manner in which the use of IRC is presented and used: as a central incident and problem management tool for active issues; as a means of ensuring people can quickly get up-to-speed with both what has happened in a situation, and what has been determined / done in trying to deal with it; as a means of providing post-mortem information; and as a tool for helping train new hires. He also notes that not everyone is involved in a situation right from the start. Issues get escalated as they evolve, additional support may be called-in, or the net widened in the search for underlying causes, requiring additional teams to be involved, or the impact of an incident spreads. Chat and the idea of “reading scrollback” as the Lab calls it, allows people to come on-stream for a given situation and fully au fait with what has occurred and what is happening in a manner not always possible through voice communications and briefings, and without breaking the ongoing flow of communications and thinking on the issue. The multiplexing capabilities of chat also mean that individuals can disengage from the main conversation, have private exchanges which, while pertinent to the issue, might otherwise derail the core conversation or even be silenced in something like a teleconference – and those engaged in such exchanges can still keep abreast of the central conversations. I … just sat there staring at the screen wondering what the hell had just happened, wondering what the hell I had gotten myself into. I thought I was a seasoned pro, but I had never ever seen an incident response go that smoothly or quickly. Panic started to set in. I was out of my league. This is another great insight into what happens inside the Lab, and as such, the post makes very worthwhile reading, whether or not you have a background in Ops support. Episode #37 of the Drax Files Radio Hour arrived on Friday September 19th. I’m little out-of-step with things, having missed segment #36, so my apologies on that and the late arrival of this article. 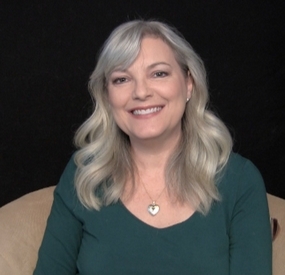 The two major topics of interview with this episode are remembering Joe Miller (Joe Linden) and on SL as a tool for counselling and support, as seen by Dr. Tammy Fletcher. Jeska Dzwigalski remembers Joe Miller early on in the show (the 02:56 mark). 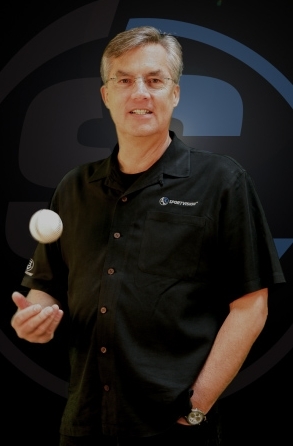 Mr. Miller, who passed away in July 2014, served as the Lab’s Vice President of Platform and Technology Development from May 2006 through until December 2010, and as such, oversaw many of the key technical developments within Second Life. Jeska is well placed to recall him, as she worked with him through his time at Linden Lab, where he was highly respected by colleagues and by SL users. A lot of Jeska’s comments are reflected in the short piece I wrote on Mr. Miller, but her time working with him obviously gives her recollections a very first-hand and personal feel, and her comments on the arrival of voice – which was added to SL pretty much as a result of Joe Miller’s involvement at the Lab – help shine a light on how the Lab believed it could add a whole new level of immersiveness to the platform. She also touches upon his genuine passion for the platform, and his direct influence on her as a mentor, thus providing a warm insight to one of the great heroes of Second Life. Prior to going to the interview with Dr. Fletcher, the show touches on a number of areas, including the plight of young LGBT people, who are forced from home by their parents. This is something Vilvi Rae actually covered through a Second Life machinima film called Sun Dog, focusing on the estimate that around a quarter of all homeless young people in Western countries identify as LGBT, who cite conflict at home as the main reason for leaving and taking to the streets. The film was second runner-up in the University of Western Australia’s / Screen My Shorts’s Project Homeless challenge, being one of three films made in Second Life on the subject of Homeless which topped-out the machinima section of that challenge. During the VR commercial break ;-), the discussion sort-of edges towards the idea that VR and AR may merge. I’ve given up waving my arms at Drax and chanting, “castAR, castAR” as an early example of technology already well down this road, so instead, I’ll cut to my own commercial break 🙂 – the last few minutes show the AR / VR combination element. We get to the chat with Dr. Tammy Fletcher (known as Avalon Birke in SL) starting at 27:48 with an introduction by Drax. A therapist providing individual and couples counselling, Dr. Fletcher is a long-time believer in the role virtual environments can play in mental healthcare and support. In some respects, this interview travels further through a door opened during the episode #35 interview with Jacquelyn Ford Morie, which also touched upon the use of VWs in therapy work, specifically mentioning the ICT’s work with VR and virtual environments (and which will be the focus of one of my promised further articles on the ICT), the use of the SimSensei, which I wrote about in August, and also Jacki’s work with Dr. Valerie Rice of the US Army in using mindfullness-based techniques within VWs to assist US service personnel and veterans deal with PTSD. Which is not to imply that this conversation is simply a re-run of topics already covered. Far from it; the discussion is very broad-ranging and offers considerable food for thought, looking as it does at the complexities, benefits and potential problems of providing or seeking counselling and support through a virtual medium such as Second Life. For example, how can you, as an SL resident for example, be sure that the person offering to provide counselling is actually qualified to do so, when you have nought but an avatar name to (initially) go on? How can you be totally assured of confidentiality of information – either as a person seeking support or as a therapist wishing to provide support. All of this and more enters the discussion, and Dr. Fletcher’s own experiences as both a Second Life resident and as a professional counsellor provides added depth to what is already a thought-provoking subject. A frequent theme within the interview is countering the oft-held view (generally from outside the platform) that SL is somewhat itself a pathology. This is done very clearly and directly on a number of occasions, such as drawing parallels between it and other, similar activities which present the same degree of involvement but which are regarded as “acceptable”, and by underlining the fact that by offering many and varied avenues for release and self-expression, SL is potentially an ideal environment for what might be referred to as self-therapy. Of course, as SL users, we may all feel we’re well-versed and understand how beneficial SL can be; nevertheless, Dr. Fletcher’s comments are well worth listening to, as they provide a perfect frame by which many of these negative views on SL can be positively countered. That said, and in terms of the core issue of providing therapy and support within such an open virtual medium like SL, all is not necessarily sunshine and roses. There are a fair few thorny issues involved, which Dr. Fletcher both acknowledges and offers additional food for thought. Identity and veracity are two such thorns: how can you really know that a person hanging out a shingle to offer professional counselling is qualified to do so? How can those providing counselling and support actually determine the genuineness of those seeking their support? more importantly, how they can fulfil their legal obligation of attempting to intervene should threats of self-harm be raised by a patient. This is perhaps where the mask of anonymity works against the platform, and not necessarily just within the healthcare community. Some groups have striven to address this through their own means; Dr. Fletcher makes mention of one group in the healthcare community, while the SL Bar Association have also established their own verification service to help those seeking legal advice via SL. But should the Lab be more directly involved? That’s a tough question to answer; certainly making the Lab the gatekeeper of activities over which they have no direct control (and may not be best placed to manage) may not be as straightforward as it sounds. Similarly, there is often only so far a therapist / counsellor can go when issues of threatened self-harm are raised on the part of a patient; how can the proper authorities be informed when all you have is an avatar name? Where or how should the Lab be involved, can they be involved in an effective manner? Issues like these can have an impact on the overall degree and effectiveness of providing support and therapy through a virtual medium, and Dr. Fletcher superbly sets out many of the boundaries faced by the virtual counsellor as well as pointing to the rich benefits that can be obtained through such immersive environments like SL, with its many and varied communities and subcultures, opportunities for positive release and for what might – as mentioned above – be referred to as self-therapy. With reference to communities and subcultures, her commentary on both the furry and child avatar communities within SL are a definite must listen, and directly challenge the misguided preconceptions sometimes held by those outside such communities, and on the way each of them are sometimes quite wrongly viewed as being a pathology. In fact, so much is touched upon within the interview – including a look ahead to the potential of the Lab’s next generation platform – that it’s impossible to encapsulate it all in written words. If you haven’t already listened to this segment of the Drax Files Radio Hour, then it is one that I’d really encourage you to find time to sit down and run through, whether or not the subject of psychology is of interest to you. It will leave you with a lot to consider and contemplate.